10 Simple Ways to Detox! Every day we breathe in, eat, and have toxins floating around in our system causing sluggish metabolism, increasing our chances of cancer, diabetes, heart disease and the list goes on. I know you are super busy but I also know you want toReign in Health and Fitness. I put together a few simple things you can do the get rid of the excess toxins and improve your health! 1. Drink fresh Juice; Apple, Beet, Cucumber and Ginger are specific for detoxification. It’s best when you are doing a juice fast but you will still reap benefits if you don’t. 2. Drink distilled water; Your kidneys are organs for detoxification. When you don’t drink distilled water your kidneys have to work too hard to get rid of the toxins in the water so you won’t eliminate as many toxins from your body if don’t drink distilled water. Don’t drink it for more than a few weeks at a time as it also removes minerals from your cells and bones. 3. Add lemon to your water! It helps to detoxify your liver, get rid of gallstones and aids in digestion of your food. 4. Raw unfiltered apple cider vinegar; Not only is this a natural antibiotic and antiseptic but it also dissolves crystal buildup in tissues and joints that cause the stiffness of old age and often manifests itself as aching muscles, joints, and arthritis. Add 2 tablespoons to a glass of water. 5. Take Deep Breaths! The Lungs are organs of detoxification, so not only will it help you to relax and relieve tension but deep breathing exercises will help you to detoxify. Doing Yoga helps you to practice deep breathing. Using a Vaporizer and adding eucalyptus, tea tree oil, menthol or specific herbs like comfrey will help with the toxic elimination. 6. 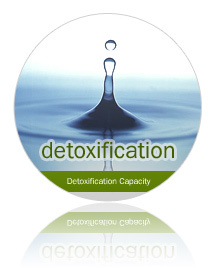 The Skin is the largest organ of detoxification. Every pore of your body is an opening, an escape route for waste material. Using natural fiber brushes or loofas helps to increase circulation thereby increasing the elimination of toxic matter. 7. Use a Sauna or take a steam bath to help eliminate toxins via the skin. 8. Sweat it out! Just plan old exercise, you know the kind that works up a sweat, you can even put on a sauna suit to increase your body temp and your sweat production. 9. Your Liver is probably the most important detoxifier of all the organs because it takes poisons and renders them harmless. Drink juices specifically for the liver such as wheatgrass, carrot, beet, dandelion, parsley, lemon, grapefruit, apple and spinach. A teaspoon of olive oil added to lemon or grapefruit juice stimulates the release of bile by the gallbladder. They also have teas available. A moist heating pad on the liver can stimulate circulation and detoxification. Physical manipulation assists in detoxifying the liver because it mechanically stimulates the organ. A good masseur/masseuse can knead and pump the liver like a baker kneads bread. I know when I get a colonic the therapist massages my liver during the colonic. 10. Of course colonics and enemas help eliminates the toxins from your colon. Did you know that toxins from the waste that stays in your colon gets redistributed back into your blood stream and causes infections, colds, headaches, weakness, fatigue, acne, etc. « Previous Post Distilled Water is for Your Iron Not Your Body! Next Post » Quinoa is a Great Vegetarian Protein Source!